Hope you haven’t let the Monday blues get you down! Today I wanted to do a quick book review! 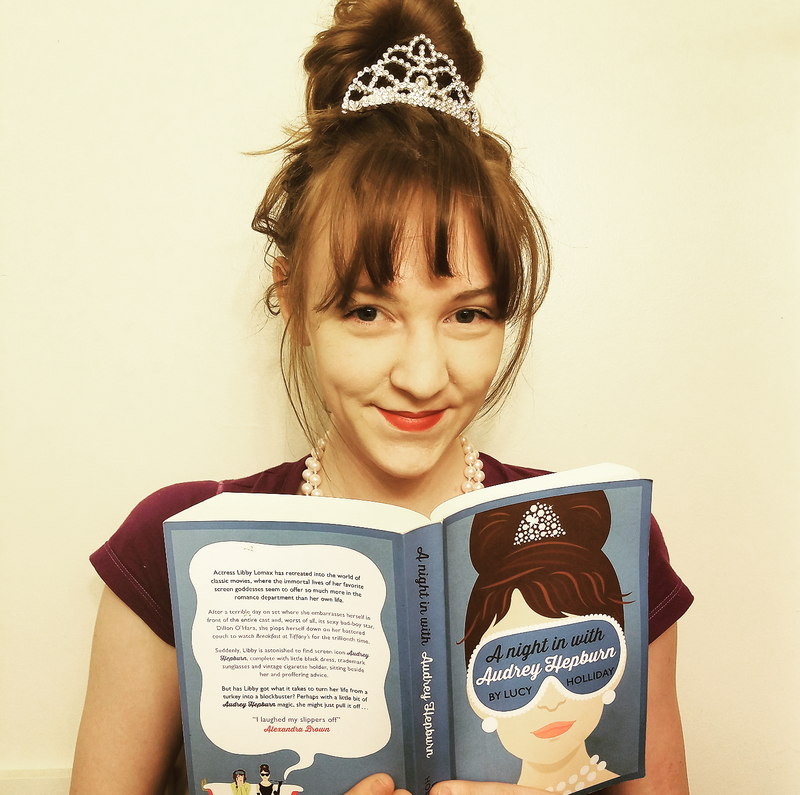 As many of you know I have been reading “A Night In With Audrey Hepburn” by Lucy Holliday! I have to admit that my love for Audrey Hepburn was what first caught my attention. But when I started to read it there is so much I love about this book! I brought it on my trip to Disney and started reading it on the plane. It was amazing how quickly the time goes when you are invested in the book you are reading!! The story follows an actress, Libbey Lomax. After a bad day she goes home to watch a classic movie, Breakfast At Tiffany’s. But to her surprise the beautiful, sophisticated, and glamorous Audrey Hepburn pops out of the TV to help Libbey! What girl wouldn’t want to get advice from the most iconic and glamorous woman the world has ever known? This book is hilarious and charming! A book every woman should pick up. It’s light hearted and great for a chuckle! I don’t want to give too much away but this was definitely one of my favorite books I’ve read this year! I hope you all pick it up, but trust me you’ll have a hard time putting it back down!